I’m not sure why I’ve started this blog. I don’t know how many people will read it, or become ‘followers’ (I have only two of those so far, and Kajsa had to be forced); and I’m not sure I care. It’s a way of getting certain things off my chest, I hope interestingly and stylishly. And of testing out ideas that I may later incorporate into books. 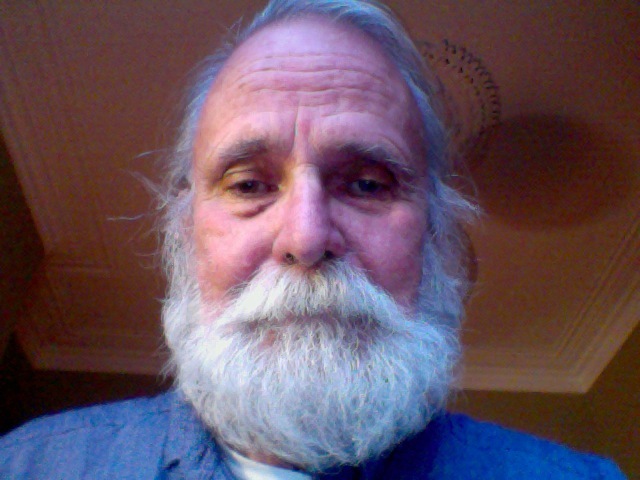 Academic historian, emeritus prof, author of many books, essayist, reviewer. Loving sambo (partner) of Kajsa Ohrlander, feminist and postmodernist academic. Living in Stockholm, Svartsö (an island in the Stockholm archipelago) and Hull, UK City of Culture 2017. Ex-wife Deirdre; three children, six grandchildren, two bonusbarn, and two bonusbarnbarn. Born in Hornchurch, Essex, but consider myself a Northerner by adoption; share all their prejudices against the South. Educated Ardleigh Green Primary, Brentwood School and Corpus Christi College, Cambridge. Resigned Fellowship there because of its admissions policy. Taught at the universities of Hull (the best), Newcastle, Yale, Sydney, Stockholm and Copenhagen. Ex-set designer for dramatics. Ex-painter. Ex-lots of things, in fact, but rather worn out now. Academic areas: modern British imperialism, xenophobia and -philia, spooks, Victorian architecture. Politics: ‘Old’ Labour. Religion: agnostic. Favourite philosopher: Karl Marx. Favourite music: Haydn, Berlioz, Elgar, Billie Holliday, Duke Ellington, Brenda Lee, the Housemartins, Ray Charles. Literature: Shakespeare, Ursula le Guin. Favourite painters: Turner, Klee, Botticelli, Frank Hampson. Other heroes: Jesus Christ (the ‘echt’ one, shorn of the ‘Christianity’); Barbara Castle; Bobby Moore; Graham Gooch; Desmond Tutu. Other enthusiasms: architecture, especially old churches; travel (in comfort). Favourite foods: too many to name. Hence paunchy. Supporter of West Ham United and Essex County Cricket Club for 60+ years. Usually much more modestly bearded than in the pic. But just as depressed-looking. Since starting this blog I’ve been diagnosed – well, not exactly diagnosed, as there’s no test for it, but all the symptoms fit – with Chronic Fatigue Syndrome, otherwise known as Myalgic Encephalomyelitis (ME); which is why I find it hard to get up in the mornings – I never used to – and why there’s no chance of my ever writing another book. This blog has now turned into a therapy for me, to keep my old mind active, without needing to do any hard work. I’m living off the fat I have built up over the course of the twelve books and dozens of scholarly articles I’ve published since 1968, and what I read in the papers. If I don’t write regularly I’ll fade into pleasant oblivion. There’s no need for you to read it. ME used to be dismissed as an excuse for laziness. In my case I suspect it was triggered by a tick bite I got on Svartsö two years ago; the one that can give you Lyme disease. A dangerous country, Sweden. Became a Swedish citizen – dual with Brit. See posts around this time. I am currently struggling with my A-Level History coursework which includes analysing “The Lion’s Share”. My teacher gave my second draft 3 marks out of 20 so I would love to know if you would be willing to write it for me. It only needs to be around 5000 words and it’s about what drove British imperial policy in Africa so I’m sure you’ll love doing it. We can make a collaborative document if that is more convenient for you. I also work for an hour once a fortnight so you can understand that it may be difficult for me to find time to help. I expect this to be complete by next Tuesday (2/4/19) at the latest. Another good joke from Tring School ! Keep it up. I can undestand if you cannot fulfil this request. Apologies for any inconveniences. We are big fans of your work and look forward to another edition of ‘The Lion’s Share’ if that is on it’s way. Keep us updated! As a student in Higher Education, I was a big fan of your work on the British Empire. However, I belive you fail to consider the impact of the printing press in this period. In fact, this omission angers me tremendously. I have written to your publisher and expect compensation. I look forward to hearing your justification Mr. Porter, if that even is your name! p.s. I am considering legal action! As a fellow student, I agree with Mr. Rudin’s insightful comment. Whilst I loved reading ‘The Lion’s Share’, it fills me with rage that a self proclaimed ‘expert in history’ leaves out something so important! I hope you can find it in your heart to remove this book from existence. Here’s your reply (all of you): https://bernardjporter.com/2019/03/25/bright-boys/. Thanks for the material. Having just read your piece ‘What Is Corbyn Thinking?’ and wanting to thank you for it, I discovered my password for the LRB blog didn’t work, so, serendipitously, found this, your own blog, instead. Very hard to understand why anyone should find fault with your explanation: it’s like arguing about a torch in darkness. Mr Corbyn’s position on Europe had long been a mystery to me, but now is no longer. I do hope a parliamentary assistant commends what you have written to him so he gets to read it himself; then he too will understand it better! Thanks Neil! I need some support! I’ve just started The Lion’s Share (the 5th edition) because I’m studying the British empire/imperialism and am very much enjoying it because of, among other things, its witty narration and jokes. I look forward to reading your blog. Many thanks for the compliment, and welcome on board! Somehow, your opening salvo in your blog had escaped me before today, Bernard. Much to query or observe I’ll forego for now. My wife, Kay, has concerns in re your ME and tick-borne Lyme Disease. Since 2009 she has suffered symptoms of what she considers “a parasitic invasion” of seed ticks (a neighbor was diagnosed with that by UofMO physicians)…burrowing under the skin completely for a full life cycle…controversial in US medical practice…Lyme Disease research debated here/all up in the air. Her feeling is medical profession avoids whatever ailments it can’t draw out expensive pharma treatments for; while eliminating for human use the known colon cancer eliminating and gut-parasite cleansing pharma product, Mebendazole! Stumbled across this, Bernard, in Queenstown New Zealand. And decided to fire this off before reading your blogs. Your lectures in the mid-1970s had Gooch and Moore references scattered within. I’ll be at the Dunedin one dayer next week and will I raise a glass to you there. Now, to find out what you’ve been up to . . . .
Bernard: this is a five-week retirement trip around NZ. The Dunedin game is a happy coincidence. I packed in teaching 5 years ago (aged 56) and worked in school liaison roles for two unis in Leeds for the next four years. Jude retired at Christmas and here we are. As well as Hull memories there was the time me, you , Zoe and Ben went to Elland Road (was it 3-3 that day? I’ll look it up). And on one occasion Ben turned up in adult life to watch Mathew Klinck playing five-a-side footie: a match I also featured in. It would be great to get back in touch. You wrote me a letter more than a decade ago and it’s still on my to do list. Marching on together. Phil. I was a student of yours 1997-2000. You were inspirational and taught me a lot. Your lectures and writing were always witty as well as thought-provoking. I have been recalling much of your courses during the last bumpy year: justifying why we should remain within the EU. Very many thanks, James! Much appreciated. What are you doing now? I am a 2nd year History Undergrad at Cardiff University, rather a baby in comparison to some of the other academics who have commented on here. I just wanted to say how much I love your blog, I wish more Historians did this! I too write a blog, and I know how exhilarating it can feel to put up a new post, or just make yourself heard. I am just starting my first extended essay on Early British Empire and your work ‘The Absentminded Imperialist’ was one of the first I came across. If you’re interested in chatting to a, quite frankly, inexperienced mind about your work I really would love to hear from you! I hope you are feeling better soon, and even if (as you said in this post) you don’t ever write another book, please do keep blogging! Kind (and slightly overexcited) regards, Lucy Sheriff. Thank you so much, Lucy! You are very welcome here. Can you send me a link to your blog? Just picked up your first book on Critics of Empire because I needed to know more about Liberal Imperialism for a chapter I am writing about Rev John Harris, for a book on British Campaigners against Portuguese Empire before WW1. Found it , still after all these years, one of the most informative sources on this theme. I wish you well for what I hope will be an improvement in your health, and I hope the fact that people like me have discovered your blog helps you appreciate that you are still very much part of our academic community. Your work is still much used, cited on the OU History courses that I teach, particularly A326 Empire, which you might care to look at sometime. Like you I am an Essex boy, currently residing in Halstead, attended at Upton Park as a boy, but have a lifelong allegiance to Man Utd I am afraid. Rumour at Colchester last year that we might stop using the ground for the Festival Week. Hope it is false. Many thanks, Gary. I’ll certainly look up the OU course. – I used to cycle all the way from Hornchurch to Colchester when I was a boy, to watch the cricket. That was in the days when Essex CCC travelled all over the county, with a double-decker bus converted into toilets. A rousing good day to you, sir! Bravo for your idiosyncratic approach to this particular endeavor. I myself am an ex-academic (from long, long ago and far, far away) who once wrote a book (as I fell through the cracks of US liberal arts faculty reductions) that relates very much to some of your own concerns: *Toward A Programme of Imperial Life: The British Empire at the Turn of the Century*(1982). I’d love to be able to compare notes with you. I think I reviewed your book, years ago! Where are you now? US? We must keep in touch. I do believe that was the case; one of the few reviews I was able to locate then, and one I could appreciate. My wife and I reside in southeast Missouri, flyover country, Trump’s heartland. More’s the pity. Thanks for replying – I was quite excited getting a response from someone whose book I am reading. I live in Taunton but am doing my PhD in Edinburgh at the ECA -the Scots being more enthusiastic about education generally, but also liking corrugated iron. Possibly something to do with their engineering heritage. I expect you will start seeing corrugated iron buildings wherever you go now; I know there are quite a lot in Iceland. I have just started reading your book ‘The Battle of the Styles’. Mostly this is because I am doing a PhD in corrugated iron buildings, and it looked as if the book might be helpful in directing me as to why, as a nation. we hate corrugated iron buildings so much. Anyway I enjoyed the preface enormously, and your writing made you seem such an interesting person, that I thought i would come and look you up on the internet. And you are interesting! I will read more. I like Hull too. Culturally diverse, very friendly. Just seen your blog for the first time, and will continue to read it as we share so many views in common. I was born near Hornchurch (Gidea Park, the posh bit) and also support West Ham (since 1957-8. We were probably there each alternate Saturday in the ‘Chicken Run’ before my Dad got season tickets) and Essex CCC (at every ground in those days including Romford and Brentwood). I am also emeritus (US universities mainly) have had a long love affair with Scandinavia (since 1968 but I wont go into that) and will in Stockholm again this summer.. Didn’t go to Brentwood School though, but all the way on the bus to Sir George Monoux GS In Walthamstow which Doug Insole attended. Enormously enjoyed your recent book on imperialism and LRB pieces. I enjoy reading your pieces. I would have liked to have been able to respond more easily, as I tried, about your biological presumption worth revising in light of, well the enlightenment and more concretely, David Attenborough’s work on bower birds. What are you thinking, if anything about the UK Investigatory Powers Bill? And the open letter in the Guardian this week? Hello Chloe, thanks. My ‘biological presumption’ are you referring to my point about ‘creativity’? I’ll check the bower bird! On our Snooper’s Charter I’ve posted a couple of things here, but not recently. Maybe in the next few days. I only like to write if I feel I have something different to say, and if the subject is within my expertise. – Also, I’ve not quite mastered this medium yet. I don’t know how to attract readers or responses. I’ll get my kids to help me! People are reading it, and we’re glad it’s here.